Junk can take many forms. It can be the debris, materials, wrapping or whatever left after building or decorating in your home or workplace. It can be various bits of rubbish that has built up over time and that you have not yet disposed of. It is usually old items in your building that are no longer used or needed. All of these types of objects can be burden because they take up valuable space, make the place look messy, can get in the way and will make a removal difficult. If you are stuck with such goods, getting rid of them all can be a real chore, but we can help. 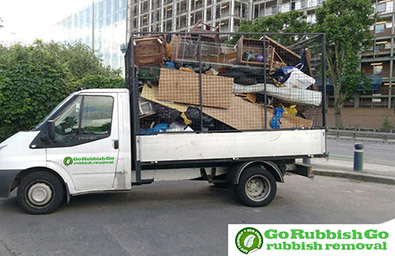 Go Rubbish Go is a top Notting Hill rubbish removal company. Call us on 020 8610 9182 and book one of our top teams. We can provide all the property clearance support you need in the W8 area. We employ expert W10 rubbish clearance professionals who will be deployed to your house to help with every aspect of the chore. Our team will come to W10 and help you to sort through your goods, then shift them from the building so that they can be transported away. We take your old items and ensure they are properly disposed of, so you don’t have to do a thing. Our services cover everything you could need for the task. We will handle rubbish collection, a garden waste disposal, a loft clearance, builders waste removal and much more in the W11 area. Our team can be sent in to W8 whatever number you need and at any time to handle your rubbish disposal in Notting Hill, W10. Our staff will have the necessary tools, equipment and vehicles, to the process will go smoothly. They will help you go through your things to determine what’s needed, they can take large goods apart, bag things and more. They will shift all items from your building so you don’t have to worry about the heavy lifting. We will then take the items to appropriate waste disposal sites in W10, ensuring that everything is correctly recycled. We follow all guidelines so that this step is done legally and environmentally friendly. If it wasn’t for your experienced staff, my old sofa and armchairs would still be lying in my driveway in Notting Hill! Thank you for all the help you gave me and the low price you charged for my rubbish disposal job in W10! Will recommend for sure! You can book our W10, Notting Hill waste collection services to match your liking. Select what you need and get what you desire. We will learn about your clearance so that we can give you the perfect quote. Our estimate reflects and charge for only what you want, so you pay accordingly. You can get this quote for free and it needs no obligation. 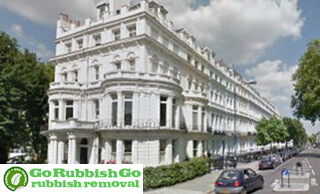 To get your free quote, call Go Rubbish Go now on 020 8610 9182 for top waste removal in Notting Hill. Don’t let a messy home prevent you from having friends over and enjoying your own indoors space. 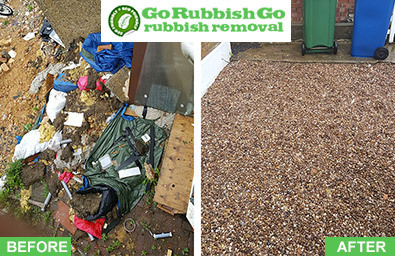 Get the rubbish removed and your home tidied up by getting in touch with Go Rubbish Go. At our company, we want our services to be readily available to anyone and everyone in need of a quality Notting Hill, W10 waste disposal service, no matter how much money they have in the bank. Free us some space at home by hiring our top-notch waste clearance in W10! Get a rubbish-free home and save money at the same time – only with us. Book now! Notting Hill is part of Royal Borough of Kensington & Chelsea, placing it in the centre of London. It uses the W8, W10 and W11 postcode area and is near the Kensington Gardens, Paddington, Hyde Park, Hammersmith, Maida Hill, Shepherds Bush, West Kensington, Kilburn, Swiss Cottage, Willesden and Kensal. These fall within the W2, W6, W9, W12, W14, NW6 and NW10. In the 18th century the landowner James Weller Ladbroke helped construct new homes and transform it into a fashionable suburb. This aspect remains today, as Notting Hill is a popular place to live. There are many stores, both chain and independent here, as well as restaurants. A market is held here weekly. The Notting Hill festival is helped here annually and is the second largest street carnival in the world. The area is very diverse, with a prominent Moroccan population.